Old is So New. 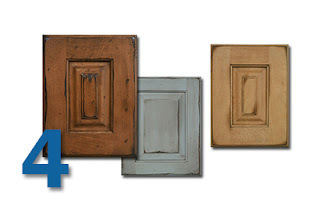 We're seeing alot of demand for distressed and vintage style doors. Shiloh Cabinetry has several options including Vintage, Weathered, and Olde World in some great paints and stains. To achieve the aged looks, hand applied techniques are used including worm holing, edge and panel gouging, glazing, wearing, dry brush glazing, rock dents, paint crackle, water spotting and more. The result is a one-of-a-kind cabinet door to add style and beauty to your home. Because you sing better in the shower. 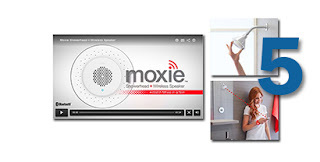 The Moxie showerhead + wireless speaker from Kohler delivers up to 7 hours of music, news and more by pairing wirelessly with your device enabled with Bluetooth® technology. Moxie couldn’t be easier to use. Docking securely into place, the magnetic speaker pops in and out of the showerhead for easy recharging of the built-in lithium-ion battery.